Josef Ilkow, 91, of Cranford, passed away Tuesday, February 5, 2019. Friends are invited to visit 4-7 PM Friday. A Mass of Christian Burial will be 10:30 AM Saturday at St. Michael's Church, 40 Alden St., Cranford. Josef was born in France, lived in Poland as a child, then immigrated with his family to the US in 1965. After graduating from the military academy and serving his country, Josef was a mechanical engineer in Poland. He was a custodial engineer at school #6 for the Cliffside Park Board of Education until retirement. He was a lifetime tinkerer and builder, very talented with tool in hand and helping with projects around the house. Pop was Mr. Fix-it and always ready as soon as anyone mentioned they needed help. Josef was predeceased by his beloved wife, Lubomira, and cherished son, Marek. He leaves behind his daughter-in-law, Pat Ilkow, grandchildren, Daniel and Christina, along with daughter-in-law, Magda Ilkow, grandchildren, Christopher and William and his wife Megan. 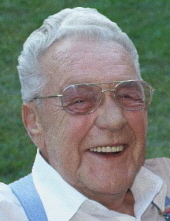 Josef was a loving Father, Pop, Dziadek, and kind friend to all he met. He was truly a proper gentleman, often seen as the well dressed man riding his scooter through town. He was happiest when surrounded by family, especially his beloved grandchildren. Josef will be forever loved and missed. In lieu of flowers, the family suggests donations to Cranford Family Care in his memory. To send flowers or a remembrance gift to the family of Josef Ilkow, please visit our Tribute Store. "Email Address" would like to share the life celebration of Josef Ilkow. Click on the "link" to go to share a favorite memory or leave a condolence message for the family.